Buy 4 Kids Meals, get the 5th FREE! 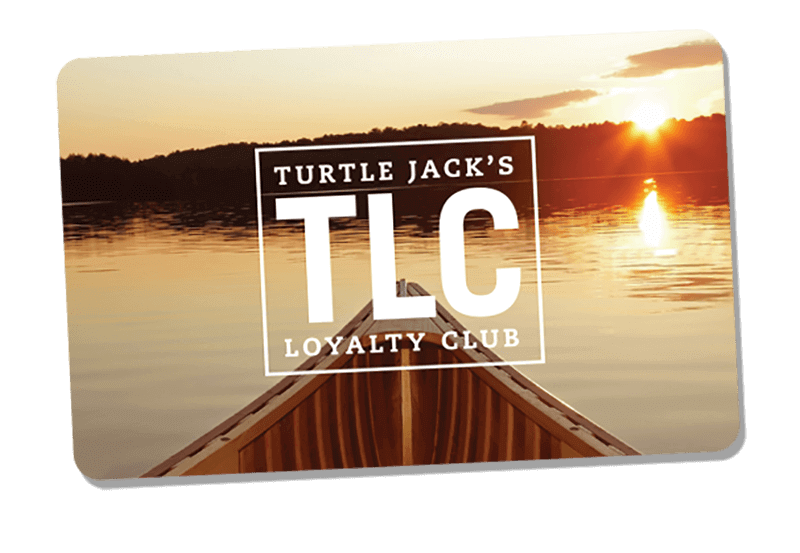 Sign up for a Turtle Jack’s TLC Loyalty Card and get a bonus $10 when you sign up. Earn one point for every $1 you spend. Redeem your points for rewards and be the first to know what’s new. Sign up for TLC today! All meals include fries, fresh carrots, cucumbers & apple slices. Served with a choice of milk, juice or fountain pop. Kids get a toy after their meal and leave with a treat from the tuck shop! Turtle Jack's will donate 50¢ to Breakfast Club of Canada for every Kids meal sold. Breakfast Club of Canada is a national charity that provides funding, equipment, training and support to school breakfast programs across the country. The Club is dedicated to ensuring every child starts their day with a nutritious morning meal, in a safe and secure environment. Founded 1994, Breakfast Club of Canada is present in over 1,650 schools from coast to coast feeding 210,000 children every school morning. For information visit breakfastclubcanada.org or find us on social media.